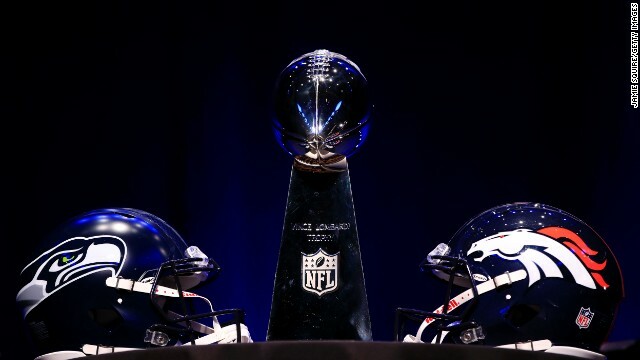 The view of the NFL as a global sport is accentuated during Super Bowl week. The clash between the Seattle Seahawks and the Denver Broncos is expected to attract more than 2013’s worldwide audience of 111.3 million viewers. And with three regular-season games scheduled for London in 2014, the sport is giving the impression of an inexorable journey towards physical expansion beyond American shores. With annual revenues of around $10 billion a year, the NFL is twice as lucrative as the NBA. However, with both sports reaching financial saturation point Stateside, the exploration of international markets continues apace. Speaking to CNN during his visit to London for the Brooklyn Nets versus the Atlanta Hawks in January, outgoing NBA commissioner David Stern said: "We're at 90% capacity. Over half of our games are sellouts ... but the world, and digital, are our oysters and we will absolutely see where that takes us." In the past, Stern has been happy to talk about the possibility of an NBA franchise, or even a whole division of teams, based abroad. It makes for a good headline but, when pushed, he admits they’re still a decade away from even discussing the prospect in a serious way. "We’re going to have to wait until the game is more popular overseas," said Stern. "It's increased in its popularity but it's not where we want to get it. " And that's before we even get to the logistical challenges. An NBA team plays more than 80 regular-season games over seven months, compared to a 16-game four-month season in the NFL. So no wonder Stern, half-jokingly, said, "If I were the NFL I would think about a team (based abroad) because you could play a game in London. You could have a team there. Those guys have it easy." While it is more feasible for an NFL team, with only one game a week, to be seven hours away in London, it would be almost impossible for an NBA franchise in Europe to jet back and forth across the Atlantic several times a month. One indication that the NBA's international games are more about raising awareness than testing whether or not to base a team abroad is their social media strategy. Financial Times sports business correspondent Roger Blitz told me the NBA is already one up on the NFL in that sphere. With modern technology, it's never been easier for fans across the world to stay in touch with their American sporting heroes, whether they play basketball or football. Getting the occasional chance to see them play in person is a bonus but doesn't necessarily mean their favorite team is moving to a nearby city any time soon. The ATLANTA Seahawks? And they say you're a sport reporter? No offence, but American sport will never be a "global" game. The whole reason it is overly successful is the fact it is in America. European Governments are not going to invest in NFL for schools and the NFL wont compete with Soccer. Even Rugby has an issue competing with Soccer and Rugby Players are equally as dominant and intimidating as NFL Players, the facts are...if you cant play at school, then the sport is a novelty and general society is becoming over feminine. "Rugby Players are equally as dominant and intimidating as NFL Players" ← I don't think so, sorry. Really ?I guess you haven't been watching rugby..those guys \Don't wear protection..as much believe me they are more then intimidating.. Yes, you're right MIke, Rugby players are far more intimidating than NFL players, for a start they don't wear helmets or masses of padding. for real? we can always agree to disagree. Rugby players would not match an NFL player. Guess you've never heard of Sébastien Chabal. You are right Daryl. What is not mentioned in this article is that the NFL had already expanded to Europe in the past and had failed: http://en.wikipedia.org/wiki/NFL_Europa. The NFL had already expanded to Europe and had already a League there with 6 teams in the 90s and in the 2000s, but they failed and stopped it in 2007 (http://en.wikipedia.org/wiki/NFL_Europa). American Football is not popular at all in Europe. Basketball and Hockey are at least popular in some countries. So the NBA and NHL would have more chances to succeed than the NFL if they try to expand to Europe.